For a second act success, credit lessons learned at early go-arounds. Entrepreneur Sébastien Dupéré of Dupray knows how to blow off steam. Sébastien Dupéré thought he’d stumbled on a winning idea with Les Dégommeurs. At first blush, the steam-cleaning business -- which Dupéré launched with two friends in 2006 -- looked successful. Customers were happy with their service, which removed gum and other gunk from public places such as the airport and theaters. References kept new business rolling in. In 2008, after two years of stumbling along, Dupéré and his cofounders sold the company and took stock of lessons learned. Later that year, they scrapped their original business idea and opened a more profitable one, Dupray, which sells home, commercial and industrial steam cleaners and steam irons. Today the company brings in $13 million a year in revenue, selling to individuals, restaurants, hotels, hospitals, auto dealers and real estate and construction companies in North America and Europe. Dupéré is no anomaly. Behind many successful entrepreneurs lies the rubble of a promising venture that hit a wall or, worse, went out of business. Some may see it as a rite of passage. Others call it myopic stupidity by founders who don’t know any better. But whatever happened, the outcome is a tested and hardened business­person with the experience to make everything that comes afterward work. Follow their lead, and perhaps you can skip the painful parts and go straight to success. Selling a product that no one wants to pay for is the granddaddy of business killers. That was PreferredTime’s problem. The Boston-based software platform made it easy for Big Pharma sales reps to set up meetings with doctors too busy to answer their messages. Doctors and reps loved the service. According to founder Stefania Mallett, a third of U.S. pharmaceutical reps used it. Investors were enthralled, too, so much so that they poured $5.6 million into the venture from 2004 to 2007. Mallett pulled the plug in 2007, but she was able to salvage her next venture from PreferredTime’s remains, forming ezCater. The idea evolved from pharma reps’ repeated requests for her to build a simple way to provide meals for their meetings with doctors. The catering platform, which lets businesses order meals for any meeting, opened its doors a week after PreferredTime went dark. Mallett not only enlisted many of PreferredTime’s pharma reps as early testers but also won them as paying customers. This time Mallett has raised $35 million from investors. Today the 160-employee internet company connects startups and Fortune 500s in nearly 23,000 U.S. cities with caterers who can provide meals for on-site and off-site meetings. The platform partners with more than 47,000 restaurants and caterers that clients like Google, Microsoft, Uber and Verizon can choose from. “And it all started because we failed at something else,” Mallet says. For Mark Carpenter, the hard-fought lesson of his first venture was that undercutting the competition on price isn’t necessarily a winning long-term business strategy. He bought Whatco Roofing and Sheet Metal in Tualatin, Ore., back in 1981 to cater to commercial builders who needed roofing. No repairs, no custom work, no residential jobs -- easy, he thought. “But it was all contractors looking for the cheapest possible bid,” Carpenter says. And lowball bids meant he couldn’t give customers his best work, which also meant most didn’t hire him a second time. Five years in and $300,000 in debt, Carpenter liquidated the company and took a day job. In 1996, Carpenter decided to try owning a business again, launching Columbia Roofing & Sheet Metal. This time, instead of focusing on new construction, he offered repairs, reroofing, sheet metal work, seismic retrofitting and other custom services to commercial building owners. All the while, he stuck to his pricing, refusing to play the lowball game. This is what success looks like: Dupéré at home in Montreal. The company’s need to be paid in cash or by check didn’t help either. Checks were lost or misplaced, forcing Dupéré to go through the mortifying task of asking a customer for a new check. And without any database or customer relationship management software, Les Dégommeurs had no uniform way to stay in touch with customers, offer them periodic promotions or follow up on new leads. Jeff Platt, CEO of Sky Zone Trampoline Park, takes organization one step further, using his CRM technology for customer feedback, which he in turn relies on to make sure his business is as profitable as possible. 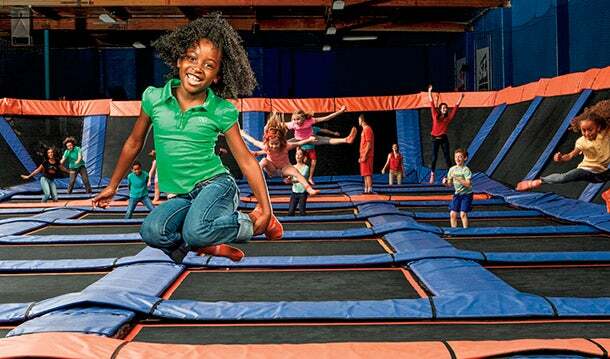 At the start of the year, Platt began using an email survey application that customers can complete after visiting one of Sky Zone’s activity parks scattered around the globe. Besides writing reviews, customers rate each park on the fun factor, perceived value and likelihood of recommending it to friends. Low-gravity area: Sky Zone Trampoline Park. “An app on my phone lets me see how our customers score us across all our locations,” Platt says. Armed with this real-time feedback daily, he can make adjustments to his business immediately. Complaints about the old, dingy bathroom at one of his parks quickly led to a $15,000 renovation. Reviews of the location improved, as did revenue. Likewise, repeated requests for more park activities convinced Platt to add climbing walls and ninja warrior courses to various locations, features that cost $25,000 to $300,000 apiece to build. But for Platt, the resulting five-star reviews of the upgraded spaces justified the expense. This is a far cry from how Platt operated in his previous business, a 17,000-square-foot trampoline arena for professional athletes that his father spent two years and $2.5 million building only to realize there wasn’t enough of an audience for the acrobatic sport he had dreamed up and hoped to popularize. In contrast, Sky Zone, which his father originally founded in 2006, now operates 150 trampoline parks around the world, with annual revenues of roughly $315 million. Your business is only as good as the team you assemble. Marco Perry learned this firsthand when forming his product design firm with friends in 2001. All five partners were highly creative designers, but they didn’t have a business bone among them. Their growth strategy was nonexistent. Same goes for their accounting, forecasting, sales and marketing expertise. Perry admits that this amalgam of designers was little more than a freelance collective or a glorified coworking arrangement. By 2005, after four years of treading water, the partners disbanded. Perry struck out on his own, this time with his wife, who had an MBA, and another partner. They founded Pensa, the Brooklyn-based product design and invention firm he runs today. Thanks to his new cofounders, Perry now had partners who compensated for his operational blind spots. He had a business plan, a brand and a clear road to profitability. It was the smartest move of his career. Today the 16-employee firm makes millions of dollars annually (Perry won’t be more specific), working with clients like OXO, Pepsi and Google and developing everything from smart baby monitors to high-end urban bicycles. 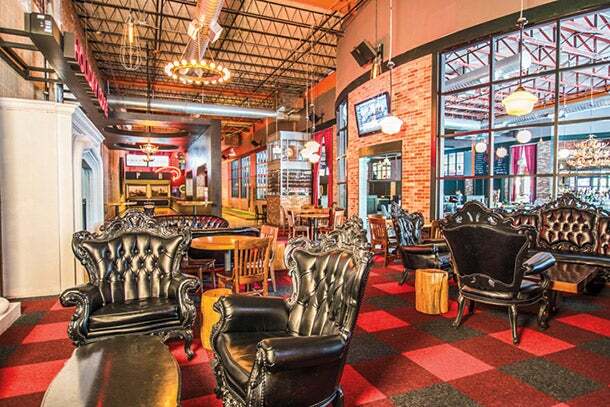 Punch Bowl Social aims to perfect the idea of "eatertainment." Thompson should know. Before launching his “eatertainment” company in 2012, the Denver-based entrepreneur spent the better part of a decade running Cocktail Concepts, a restaurant company he founded that at its height ran six eateries in three states. But in the early 2000s, one restaurant he had self-financed went under. Another saw a 60 percent drop in customers. In 2004, Thompson shuttered Cocktail Concepts and declared bankruptcy, losing his home and cars in the process. He credits the offending investor with helping escalate his company’s fall, a tough blow he is determined to not repeat. With Punch Bowl Social, he diligently researched each of the angel investors who put up the $4.3 million he used to launch the business. He’d learned the hard way that his business and his home depended on it. It has paid off. The company claims each of its current locations earns $7 million to $8 million in annual revenue. Want to Open a Vintage Shop? Experts Share Their Secrets.